Sixty years after the founding of the State of Israel, the long conflict with the Palestinians, and with the Arab world at large, casts a pall over Israeli life. 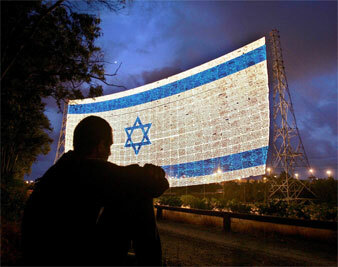 Israelis approach the sixtieth anniversary of the establishment of their state in a subdued and somber mood. Israeli society is deeply divided, and there is no consensus on how to mark the milestone. On the one hand, Israel can boast some stunning successes: a democratic polity with universal suffrage; a highly developed, some might say overdeveloped, multiparty system; an independent judiciary; a vibrant cultural scene; progressive educational and health services; a high standard of living; and a per capita GDP almost the size of Britain’s. The ingathering of the exiles has worked. Israel’s population has reached 7,241,000, nearly ten times what it was in 1948. Forty-one percent of the world’s Jews live in the Jewish state, speaking the Hebrew language that was confined to liturgy when Zionism was born at the end of the nineteenth century. In its central aim of providing the scattered Jews with a haven, instilling in them a sense of nationhood and forging a modern nation-state, Zionism has been a brilliant success. And these achievements are all the more remarkable against the background of appalling tragedy: the extermination of 6 million Jews by the Nazis during World War II. On the other hand, some failures can be noted. The most pronounced one has been the failure to resolve the conflict with the Arabs, which has accompanied the Zionist enterprise from the very beginning. That conflict involved neighboring Arab states, but in origin and in essence it was a clash between two movements for national liberation: the Jewish one and the Palestinian one. In 1948 the Zionist movement realized its aim of Jewish national self-determination in Palestine. Israel’s War of Independence was the Palestinians’ catastrophe, al-Nakba in Arabic. The moral case for the establishment of an independent Jewish state was strong, especially in the aftermath of the Holocaust. The case for a Jewish state was also bolstered by the international norm of self-determination for national groups. Based on this norm, the UN partition resolution of November 29, 1947, provided a charter of international legitimacy for the creation of a Jewish state in Palestine. However, there is no denying that the establishment of the State of Israel involved a massive injustice to the Palestinians. Sixty years on, Israel still has not arrived at a reckoning of its sins against the Palestinians, a recognition that it owes the Palestinians a debt that must at some point be repaid. The conflict with the Palestinians, and with the Arab world at large, has cast a very long shadow over Israel’s life. For the first forty-five years of the state’s existence, Israel’s leaders were unwilling to discuss the right of the Palestinians to national self-determination. In 1969 Prime Minister Golda Meir adopted an extreme position–hardly an uncommon one at the time–in denying that a Palestinian people existed at all. But the dilemma had been there all along, and the early Zionists were well aware of it, even if they seldom talked about it. The dilemma, in a nutshell, was that the Jewish aspiration to sovereignty in Palestine could not be reconciled with the Palestinian people’s natural right to sovereignty over the same country. This was the “hidden question” that Zionist teacher Yitzhak Epstein addressed in an article in 1907. It was not long before the hidden question was transformed into an open and deeply contentious issue. Ze’ev Jabotinsky, founder of the right-wing Revisionist Zionist movement and spiritual father of the Likud Party, was the first major Zionist leader to acknowledge that the Palestinians were a nation and that they could not be expected to renounce voluntarily their right to hold on to their patrimony. It was, he argued in two seminal articles in 1923, therefore pointless at that early stage in the Zionist enterprise to hold a dialogue with the Palestinians; the Zionist program could only be executed unilaterally and by force. Jabotinsky’s prescription was to build the Zionist enterprise behind an “iron wall” that the local Arab population would not be able to break. Yet Jabotinsky was not opposed to talking with the Palestinians at a later stage. On the contrary, he believed that after knocking their heads in vain against the ramparts, the Palestinians would eventually recognize that they were in a position of permanent weakness; that would be the time to enter into negotiations with them about their status and national rights in Palestine. In a way, this is what happened. The history of the State of Israel is a vindication of Jabotinsky’s strategy of the iron wall. The Arabs–first the Egyptians, then the Palestinians and then the Jordanians–recognized Israel’s invincibility and were compelled to negotiate with it from a position of palpable weakness. The real danger posed by the strategy of the iron wall was that Israeli leaders less sophisticated than Jabotinsky would fall in love with a particular phase of it and refuse to negotiate even when there was someone to talk to on the other side. Paradoxically, the politicians of the right, the heirs to Jabotinsky, were prone to fall in love with the iron wall and to adopt it as a permanent way of life. Jabotinsky’s iron wall encompassed a theory of change in Jewish-Palestinian relations leading to reconciliation and peaceful coexistence. Likud Prime Minister Yitzhak Shamir, by contrast, conceived of the iron wall as a bulwark against change and an instrument for keeping the Palestinians in a permanent state of subservience to Israel. The first serious attempt to transcend the iron wall was made by Yitzhak Rabin following the Labor Party’s victory at the polls in June 1992. On the face of it, Rabin was an unlikely candidate for overturning Israel’s traditional policy toward the Arab world. He had spent a lifetime as a soldier, building up the iron wall for the dual purpose of deterring and withstanding Arab attacks. As chief of staff in June 1967, he was associated with Israel’s most decisive victory over its enemies and the extension of the wall to enclose more of their territories. After the war, he sided with the majority in the Labor Party in preferring a settlement with Jordan’s King Hussein to a settlement with the Palestinians. During his first term as prime minister, in the 1970s, Rabin remained implacably opposed to any negotiations with the PLO. But during his second term, after exhausting all alternatives, Rabin grasped the nettle, which meant negotiating with the PLO. The upshot was the Oslo Accord and the historic handshake with PLO chairman Yasir Arafat at the White House in September 1993. What the accord amounted to was PLO recognition of Israel’s right to exist, Israeli recognition of the PLO as the representative of the Palestinian people and an understanding between the two sides that the remaining differences between them would be settled by peaceful means. The Oslo Accord was a major breakthrough in the century-old conflict between Jews and Arabs in Palestine. It was the first-ever agreement between the two principal parties to the conflict. Recognition of a sort replaced absolute, mutual rejection. By signing the agreement, the Palestinians conceded the legitimacy of the Jewish state over 78 percent of what had been the British Mandate of Palestine. What they expected to get in return–though this was not written down in the agreement–was independence over the remaining 22 percent: the West Bank, the Gaza Strip and East Jerusalem. To be sure, the agreement on “Gaza and Jericho first,” as the 1993 accord was often described in shorthand, fell a long way short of the Palestinian aspiration to full independence and statehood. But the agreement did set in motion a gradual and controlled Israeli withdrawal from the occupied Palestinian territories. In the two years following the signing of the accord, substantial progress was achieved. Cooperation between the security services of the two sides was very close, and also progress was made in empowering the Palestinians to govern themselves, culminating in the Oslo II Accord of September 1995. This period wasn’t without tensions–Palestinians were furious that Rabin continued to approve expansion of Israeli settlements. But it was the overall success, not the failure, of the Oslo peace process that provoked a right-wing backlash in Israel and the assassination of Rabin by a Jewish religious fanatic in November 1995. The assassination achieved its purpose: it crippled the peace process. There is no way of telling what would have happened had Rabin survived; history does not disclose its alternatives. But there can be no doubt that in the aftermath of the murder it was much more difficult to follow the course Rabin had charted. With the murder of Rabin, the peace process began to falter. In a long-term historical perspective, however, the series of agreements between 1993 and 1999 under the auspices of Oslo were not a failure. Nor were they doomed to fail from the start. They did not collapse under the weight of their own contradictions, as critics like to argue. Rather, the peace process failed because Israel, under the leadership of the Likud, reneged on its side of the original deal. Likud Prime Minister Benjamin Netanyahu was no friend of the Oslo Accord. He regarded it as incompatible with the historic right of the Jewish people to the entire Land of Israel and with Israel’s right to security. Netanyahu spent his three years in power, from 1996 to 1999, in a largely successful attempt to arrest and subvert the peace process. By subverting it, he inflicted serious damage not only on the Palestinians but on his own country and on the Middle East as a whole. As far back as 1988, the Palestinians had made their choice. They offered Israel recognition and peace in return for a minimal restitution of what had been taken away from them by force. Since then the ball has been in Israel’s court. Israel had to choose. Netanyahu and his colleagues in the ultranationalist camp chose to go back on the historic compromise struck by their Labor predecessors and to return to confrontation. In May 1999 the Israeli electorate deposed Netanyahu and replaced him with Ehud Barak in order to give peace a chance. Barak won a clear mandate to return to the path of his mentor and commanding officer, Rabin. Barak was a brilliant soldier but a political novice who quickly frittered away his initial advantages and ended up betraying all the hopes that had been pinned on him. Part of the problem was Barak’s clear preference for a peace deal with Syria first in order to isolate and weaken the Palestinians. Another problem was Barak’s refusal to fulfill Israel’s obligations under previous agreements. But the most fundamental obstacle to peace with the Palestinians was settlement expansion on the West Bank. All Israeli governments, Labor as well as Likud, continued to build settlements after the 1993 accord was signed. This did not violate the letter of the accord, but it most definitely violated the spirit. It was simply not reasonable to expect the Palestinians to go forward toward a peace deal when Israel was expropriating more and more of their land. Land-grabbing and peacemaking do not go well together. This became clear at the Camp David summit in July 2000. The package offered by Barak was not enough to persuade the Palestinian negotiators to give him what he wanted: a formal and final end to the conflict. Following the collapse of the summit, Barak propagated the notion that there was no Palestinian partner for peace. This was not true; there was a Palestinian partner, but not on Barak’s terms. With the collapse of the Camp David summit, the countdown to the outbreak of the next round of violence began. Ariel Sharon, the leader of the opposition, provided the spark that set off the explosion. On September 28, 2000, flanked by a thousand security men and in deliberate disregard of the sensitivity of Muslim worshipers, Sharon ostentatiously walked into Jerusalem’s Haram al-Sharif, the Noble Sanctuary. His walk-about sparked riots that spread to other Arab areas of East Jerusalem and to other cities. Within a very short time, the riots snowballed into a full-scale uprising–the Al-Aqsa Intifada. The escalating violence, and the belief that there was no Palestinian partner for peace, paved the way to Barak’s political demise and to Sharon’s Likud victory in the February 2001 election. The rise to power of Sharon, the champion of violent solutions, marked the end of any serious negotiations between Israel and the Palestinians. Sharon personified the most xenophobic, aggressive, expansionist and racist brand of Zionism. He could boast–and he would have regarded it as a reason for boasting–that he remained in power for five years without ever resuming negotiations on the final status of the territories. His policy toward the Palestinians consisted of the iron fist inside the iron glove. Under Sharon’s leadership Israel reverted to unilateralism in its purest and most unrestrained form. His objective was to set aside the Oslo Accords, to fragment and mutilate the Palestinian territories, to reassert total Israeli control over the West Bank and to deny the Palestinians any independent political existence in Palestine. His long-term aim was to redraw the borders of Greater Israel. The unilateral disengagement from Gaza in 2005 was a step in that direction, not a prelude to an overall agreement but to the de facto annexation of major West Bank settlement blocs. Sharon will therefore go down in Israel’s history not as a peacemaker but as the proponent of the doctrine of permanent conflict. The trouble with unilateral action is that it holds no hope for peace. On the contrary, it is a recipe for never-ending bloodshed. The Israeli right thus provided both the paradigm for solving the conflict with the Palestinians and the politicians who are unable or unwilling to act on it. Consequently, on its sixtieth anniversary, Israel still faces the same dilemma it was faced with forty-one years ago, after seizing new territory in the 1967 war: it can have land or it can have peace. It cannot have both. During the past forty-one years Israel has tried every conceivable method of ending the conflict with the Palestinians except the obvious one: ending the occupation. The occupation has to end, not simply because the Palestinians deserve no less but in order to preserve the values for which the State of Israel was created. In any case, whether Israelis like it or not, an independent Palestinian state is inevitable in the long run–when the game is no longer worth the candle. The moral, political and psychological cost of the occupation cannot be sustained indefinitely. Just as Israel withdrew under duress from southern Lebanon in 2000 and from Gaza in 2005, so, eventually, will it be compelled to relinquish all but a tiny fraction of the West Bank. To its credit, the Israeli public has never been as implacably opposed to an independent Palestinian state as the politicians of the right. The question now is whether Israel will give the Palestinians a chance to build that state or strive endlessly to frustrate it. That is the real test of statesmanship as Israel enters its seventh decade. At the time of writing there is precious little evidence to suggest that Israel’s leaders are willing to rise to the challenge. They appear united in their determination to preserve Israel’s military and economic control over the West Bank. Yet there is some ground for optimism. The Palestinians learned from their own mistakes: they put rejectionism behind them, moderated their program and opted for a two-state solution. It is not beyond the bounds of possibility that the Israelis will one day learn from their mistakes and elect leaders who recognize the need for a genuine two-state solution. Nations, like individuals, are capable of acting rationally–after they have exhausted all the alternatives.